About 10 years ago, I had a grizzly encounter while hiking near Togwotee Pass, WY. "Encounter" in this case meant I saw the bear from about 50 yards away, he saw me, and he then continued grazing on fresh wild onions while I beat a hasty retreat back to the trailhead. As benign as it was, I was nonetheless dripping with sweat and didn't sleep well for a week. That was nothing compared to what a local Driggs man experienced while hiking the popular Teton Canyon trail towards Table Rock last week. The sow grizzly had two young cubs, and charged him three times; thank goodness he had bear spray at the ready, and loads of good sense. Read the details here: Teton Canyon Grizzly Encounter. It's wild out there folks, be prepared. On a lighter note: the sun is finally winning its annual battle with lingering winter weather here in Teton Valley. We'll be seeing our first mid-70's temperatures of the year this week, meaning actual photosynthesis will be taking place, attitudes will improve, and water will be flowing everywhere. 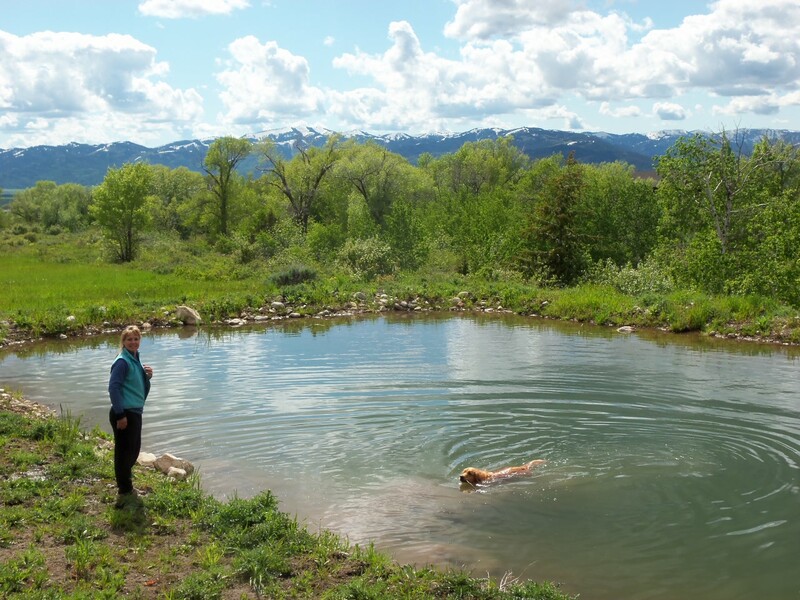 High country snow-water levels are at 392 percent of average; the SNOTEL site at Grand Targhee is just now peaking, and not expected to melt out until the end of July. Absolute craziness...get your boats ready! 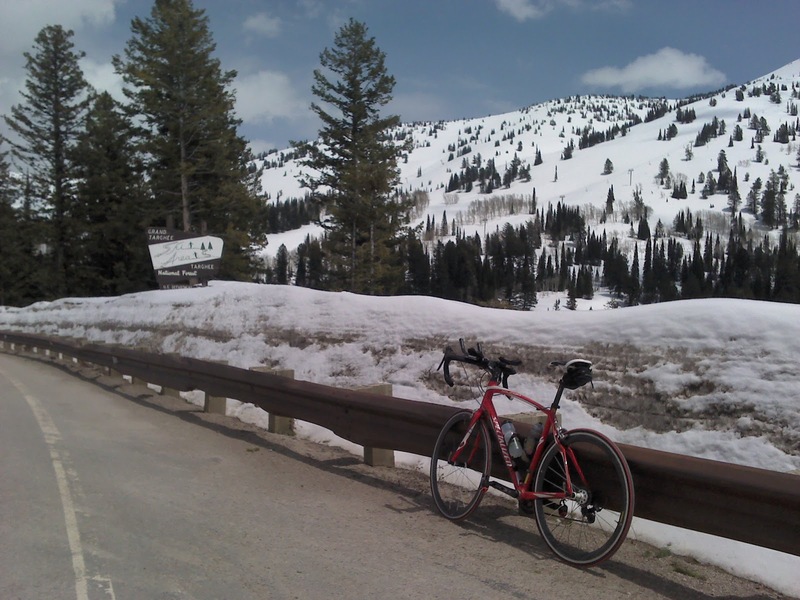 Here's what the snowpack looked like on a bike ride last week, up by Grand Targhee ski resort. Lifts are open for the summer season, and being used almost exclusively for continued skiing and snowboarding. Come on up and 'git some. 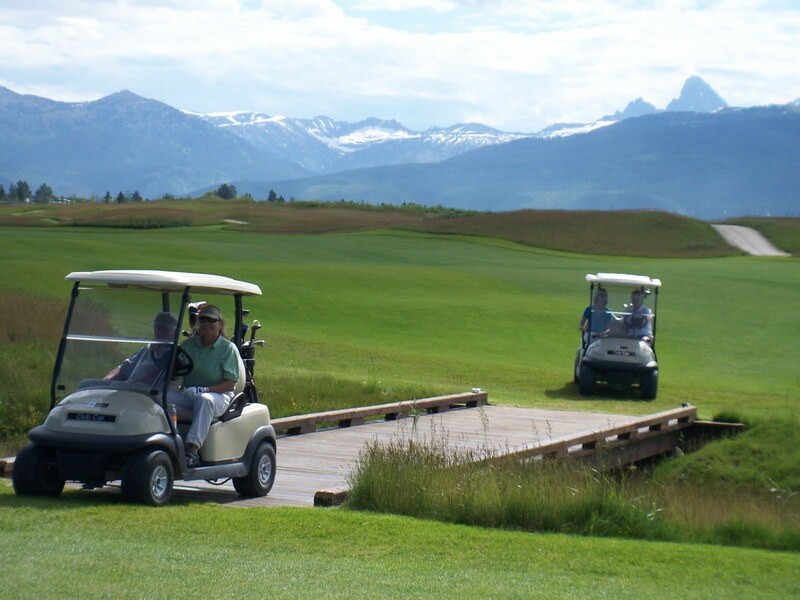 And, here's what we're all anticipating in the coming weeks: sunshine, Teton Scenery, golf on great Driggs area courses like the new Huntsman Springs, and more.